Fitness trampolines of Heymans /Trimilin support health of small children to adults. The holistic training protects spinal discs and joints and is very effective. 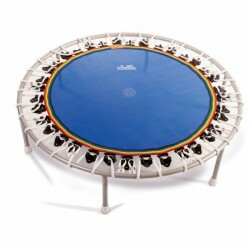 Training with a trampoline makes slim, fit, and a lot of fun. Either with steel spring or rubber band, you find the appropriate trampoline in the range of Heymans / Trimilin. The Heymans rebounder Trimilin Swing Vario Plus is a rebounder with a very soft suspension (5 of 6). Its variable resistance (Heymans Vario) allows the whole family to swing and und bounce dynamically. Folding legs make it easy to stow away. The Heymans rebounder Trimilin Swing Vario is a rebounder with a very soft suspension (5 of 6). Its variable resistance (Heymans Vario) allows the whole family to swing and und bounce dynamically. 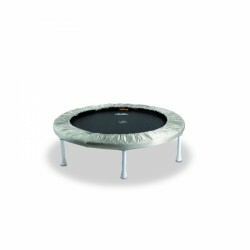 Trampoline 102cm diameter especially for high impacts and people over 100kg. 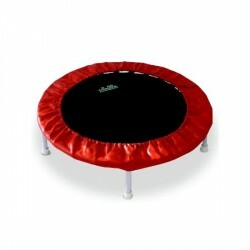 Rebounder with a diameter of 120cm for persons with a body weight of up to 85kg. Very soft springs for special care of spine and joints. The Plus version of the Heymans rebounder Trimilin Superswing has foldable legs for a comfortable storing. 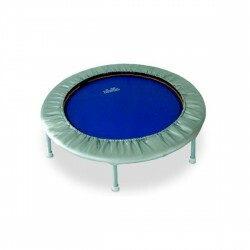 Large trampoline with especially soft suspension - suitable for the whole family! 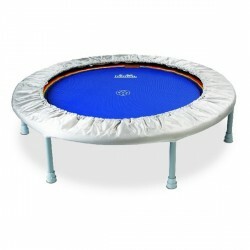 Big rebounder with super soft springs - suitable for the whole family! 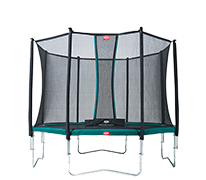 Heymans rebounder Trimilin Junior - The Heymans rebounder Trimilin Junior is the ideal kids rebounder with a diameter of 87cm and low rebounder height. With very elastic mat and soft springs. 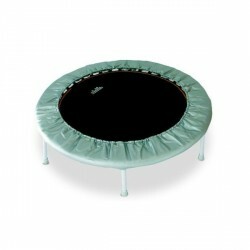 Trampoline for kids - also ideal for trips and vacations!